At Mercedes-Benz of Ontario, helping our customers maintain their early (MY09 — MY14)* and late (MY15 or newer)** vehicles is just as important to us as assisting them with choosing the perfect model. 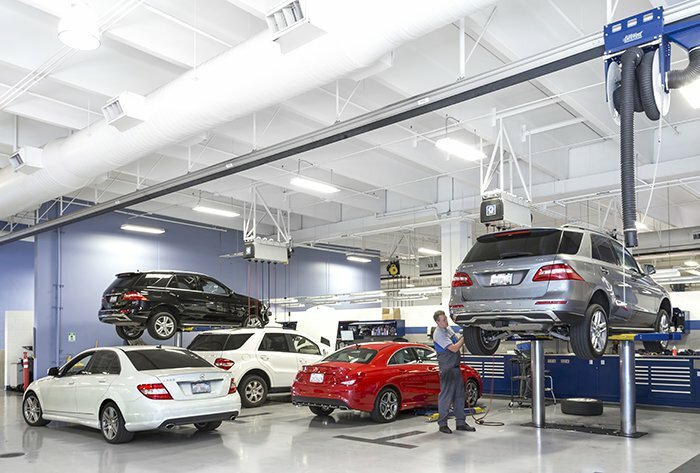 Drivers in Ontario, Rancho Cucamonga, and surrounding areas can rely on our qualified service team for thorough Mercedes-Benz Service A repairs and maintenance. Scheduling a service appointment with us not only resolves immediate auto issues, it also prevents new complications from arising in the future. If you have any questions about Mercedes-Benz Service A cost, our Mercedes-Benz Service A coupons and specials, or anything else, please feel welcome to contact us online. All fluid level checks and corrections are dependent on your vehicle’s calculated service intervals. *Services and pricing for Service A/Service B may vary due to your driving habits, mileage, and local environmental conditions. Please refer to your maintenance booklet for additional details and general guidelines for your vehicle’s year and model. **Price advertised for Service A/Service B includes all factory-required components. Please refer to your maintenance booklet for the complete list of factory-required services and details on the specific intervals for your vehicle’s year and model.